GP Masters was such a good idea. The idea was that ex-F1 drivers could come back and race against other ex-F1 drivers in identical cars. To be eligible, drivers had to have raced in F1 for at least two seasons, be retired from open-wheel racing, at least 45 years old, and be fit enough to pass a medical exam. That would prove useful as they wouldn’t be racing any old cars - they were serious bits of kit which were based on old Reynard Champ Car chassis. They produced plenty of downforce, pushed out 650bhp from their Cosworth V8 engines and, apart from a sequential paddle-shift gearbox, electronic driver aids were non-existent. 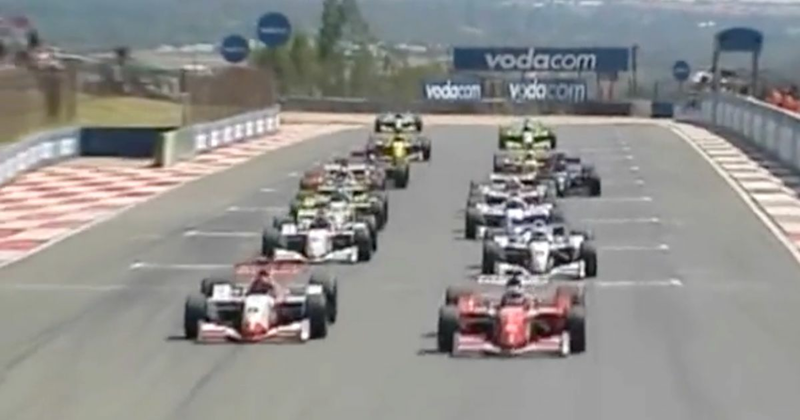 The inaugural race took part in 2005 at the former home of the South African GP at Kyalami and featured some massive names. World champions Nigel Mansell and Emerson Fittipaldi took part, as did F1 race-winners René Arnoux, Riccardo Patrese, Patrick Tambay and Jacques Laffite. Eddie Cheever, Christian Danner, Andrea de Cesaris, Stefan Johansson, Derek Warwick, Jan Lammers, Hans-Joachim Stuck and Eliseo Salazar rounded out the 14-strong grid for the first race. 1980 champion Alan Jones was also supposed to take part, but he wasn’t as fit as he used to be and had to withdraw from the event during practice after suffering neck cramps. To add to the retro feel of the event, Murray Walker came out of retirement to commentate. It was a perfect recipe. The racing even turned out to be really good - if you’ve got a spare hour, the first event is well worth watching! Not bad, right? And pretty amazing to see Fittipaldi (who was 61 at the time) pushing Mansell so hard for the win. Stuck put in a spectacular effort and called it “one of the best days of my life”. There were two more races in 2006 - one at Qatar and one at Silverstone. Mansell made it two wins from two in Qatar, while Cheever took victory at Silverstone. More events were planned for 2007 but unfortunately, the series organisers went bankrupt. The races were cancelled, and GP Masters came to a sad end after just three races. More than a decade later, just think about how good it would be to see a series like this again. Imagine if it was run and organised by Liberty Media, with events being run as support races during F1 weekends. Imagine if they used the old GP2 chassis, and imagine the sort of drivers who might be tempted to sign up - Rubens Barrichello, David Coulthard, Mika Hakkinen, Jos Verstappen, Giancarlo Fisichella, Jacques Villeneuve, Ralf Schumacher, Luca Badoer, Jarno Trulli. Heck, Jacques Laffite was 64 when he took part back in 2005, so it might even tempt the likes of Alain Prost, Gerhard Berger or Martin Brundle to give it a go. There would be so many possibilities and you can bet the racing would be exciting. Come on someone, make it happen - bring back GP Masters!